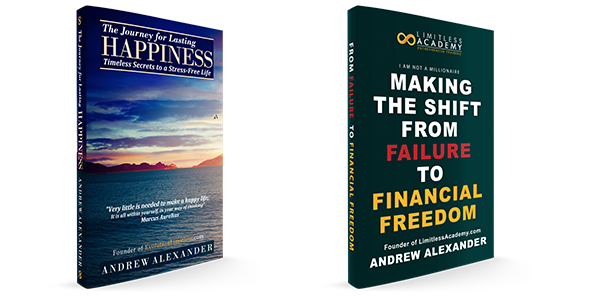 Through Limitless Academy and my other businesses, I’ve managed to get features in front of audiences of 500,000+ at a time without paying for promotion. Getting featured in industry magazines, podcasts, video interviews, and guest blogging opportunities will provide you with a steady stream of visitors to your website. With the correct sales system in place, this will be a steady source of sales indefinitely. If you’re selling a physical product, make sure you have enough inventory in place, because you can’t turn this flow of traffic off when it starts. In this article, I’m going to share with you strategies I’ve personally used to land features in these outlets. Inc Magazine – November 2015 Edition – One day in September 2015, I got an email from a writer from Inc. Magazine saying they wanted to write about me in an upcoming edition. The email address came to my personal gmail address (which I don’t list on any of my websites) so I had no clue how they found me. But that is the email I use for HARO (Help a Reporter Out) – Earlier that year, I spent a few days responding to HARO requests and linked to a blog article talking about how I outsource overseas for work. What I noticed is that HARO is a great way to get features, but sometimes your hard work won’t pay off right away (just like anything in business). Consistency. In early 2017, I got interviewed on Fear Not Podcast: Living Beyond Your Fears. 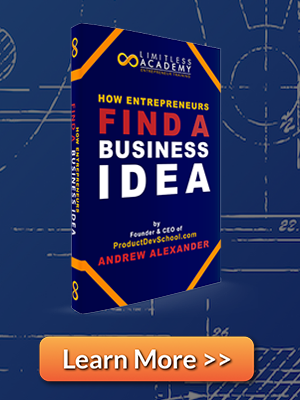 After the podcast owner purchased my second book on Amazon.com, his assistant reached out to me for an interview on the topic of how to overcome your fears. By getting my books out there and listed on Amazon, this is a great way to bring attention to my brand. Blog Talk Radio – Exploring Awesome Podcast – In 2014, when I went through my NLP Practitioner Certification program, I met Dave. Dave invited me to a business mastermind in Phoenix, Arizona where I met Jim Kellner and we began co-authoring a book together. After becoming friends for a while, he made the offer to interview me on his podcast. Jim is now a famous Hypnotist who is lining up more and more interviews and talks after years of getting out there. When you get your name out there (making posts on forums, guest blog articles, Facebook groups, start a YouTube channel, become a Udemy instructor, etc.) your name will eventually get in front of the right people and opportunities will come to you. What I’m learning more and more is that a lot of these opportunities come up by getting out there in the real world and meeting face-to-face with real-life relationships. Secret Entourage – Guest Writer – I had the opportunity to become a guest author on Secret Entourage because in early 2014, I spoke with PJ (Founder of Secret Entourage) back and forth for a few months while building out a magazine business. A year and a half later, he made a post on his personal Facebook account that he was looking for guest bloggers with business experience to write articles for his website. I emailed his content manager, referencing the request from PJ, and then every so often I sent off an article for them. In this instance, they were looking to build out content for SEO at a massive scale, so I helped provide quality articles to help their audience, in exchange for a link back to my site. Alter Shift Media – I met Shawn Schweier at a Meetup group in Denver, Colorado and learned that we both were NLP Practitioner and Trainers. We met up, became friends, and he offered to write a feature on his blog for me. Once again, building friendships and local connections. Through the Plant-Based food company I’m starting, a lot of the endorsements and shout outs are through personal friends the CEO made over the past decade of his life. Build relationships with people in your industry. Go to industry events. Industry conferences. Get out there, showcase your product (or your prototype), and get your name known by being a person who gets visible, and makes real connections with people. 6. Give First and Offer Value (Instead of Taking). This is an obvious one that you’ve probably heard many times. All too often, people go out there and try to take value from people of influence. You want to get featured to get traffic to your website, to build your brand, to make sales. But when you really think of the person who will interview you, what can you do either for them or for their audience. In June 2016, when I was still running Limitless Success Magazine on the iTunes app store, I had a total readership of over 10,000 people. 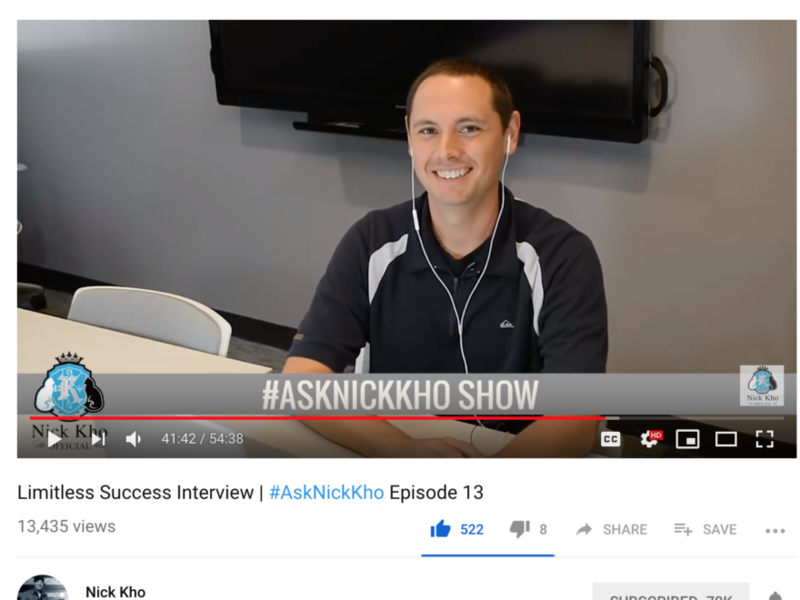 I followed Nick’s company Real Social Dynamics for many years before and saw a video of him launching a new training program. One day I decided to email him and offer to put him on the cover of my magazine as a feature story. The entire pitch of the email was to help him: Get traffic, build his brand, and hopefully give him sales. When I sent the email, I did so from an emotional standpoint of helping. Three months later, I got an email back from his assistant saying we should do a video interview for his channel, and I could transcribe some of the interview for my magazine. So far, this video got 13,000 views. My offer for help turned out to provide about the same exposure for my brand than it did for his. Through the Plant-Based Food Company I’m starting, we are getting in front of the audiences of at least a dozen major influencers within the first few months of having product ready to sell. Audiences of 200,000 – 500,000 people at a time. We have a product that the influencers believe in and an affiliate/sponsorship program that offers financial incentives for the people who promote us. They key here, on top of the financial incentives is that we have a product that is aligned with their missions as well. If you have a bad product, you’re never going to make it that far in business. Years ago, while traveling through the Northwest, I created a YouTube video on The Law of Reciprocity, which is something you need to follow as an entrepreneur if you want to have success building out these partnerships with other people. If you’re interested in getting more traffic to your website, building out sales systems, increasing sales, and want to develop the motivation, focus, and confidence to succeed in business, reach out to us at Team@LimitlessAcademy.com today.